Here is a short tutorial of Submitting your Blogger.com or Blogspot.com blog site to Google Webmaster.This will enable Google to find, index, and rank your site. 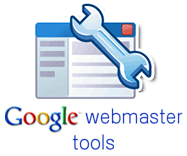 For those who are new to this, you may go to the official Google Webmaster Tools site to create a new Webmaster profile. Upon logging in using your Gmail account, key in your blog site URL, and click OK. You will then be asked to verify your site. This is to ascertain that you are indeed the owner of the site. Replace the META TAG with the code generated by Google Webmaster. Once done, Save the Template. When you return to Google Webmaster site, you can click the button that says “Verify”. Note: The second method of uploading an HTML file is NOT applicable to Bloggers using Blogger.com or Blogspot.com because this requires you to upload a file to the root directory of your Blog, which is not possible. There is therefore only one method for you to verify your site, and that is by inserting the Meta Tag as explained above. After you have had your site verified, click on the Sitemaps tab as shown below. By adding a Sitemap, you will be providing Google with more details and information about your Blog. With this, Google will crawl your site, report information on any errors in the Sitemaps tab, and index your Blog site at a faster rate. Remember to replace YOURBLOGNAME with that of your Blog's. For Blogger blogs, do not add "www." to YOURBLOGNAME. Once you have added your Sitemaps, you will receive a confirmation telling you that reports are being generated but “may take several hours to update”. Congratulations! You have successfully added your Sitemaps. When you login to your Google Webmaster days later, you should be able to see the indexed pages and statistics of Google webcrawl of your Blog. Leave the meta tag in the template if you want to view the statistics of your site. If Google can't find the meta tag, it will show an error message in your webmaster toolbox and you may have to verify your site again.